EN TitleIn the past many weapons had custom titles. Now replaced with series titles in game. 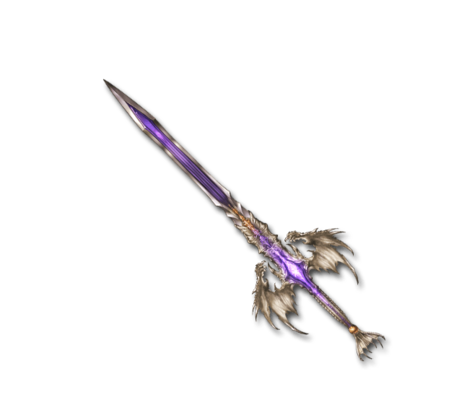 Molded after the sharp claws of the Great Dragon, an ultimate sword created to inspire fear in all. If used to cut through the earth, it could send the world plumetting down to the depths of the skies. Note: This is the amount you get for a 4★ uncapped weapon. This weapon should not be reduced, except when you already have a copy of it. This page was last modified on 23 October 2018, at 19:12.